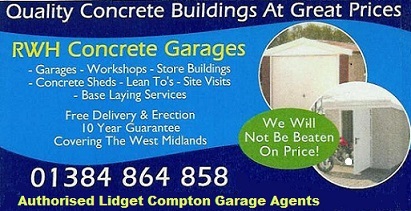 CONCRETE GARAGES.WORKSHOPS. MOTORBIKE SHEDS.GARDEN BUILDINGS. 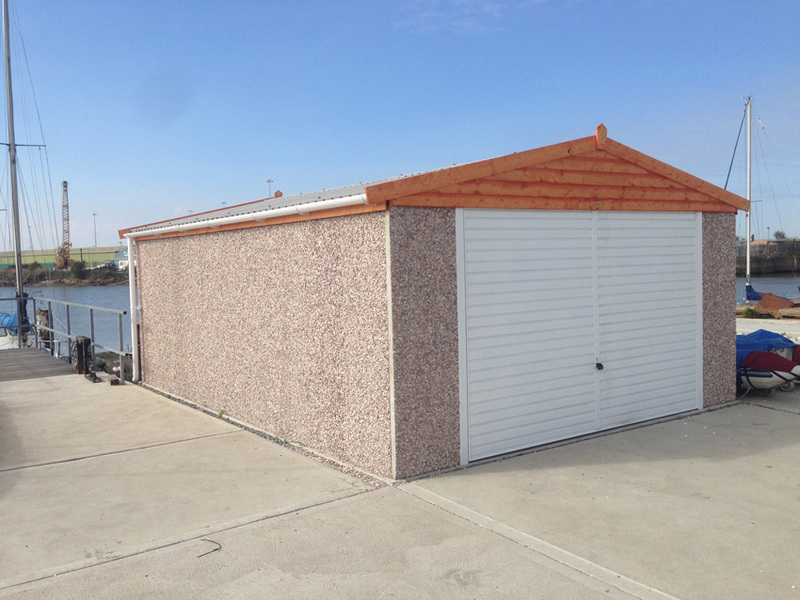 Many customers prefer the appearance of a pitched roof apex concrete garage,with improved drainage qualities and greater strength,this roof offers a wider choice of sizes from the Lidget Compton buildings range,that can be ordered from RWH. 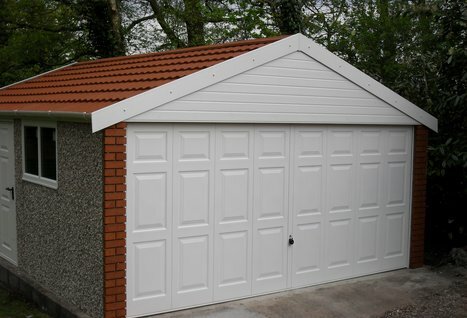 This Apex 20 concrete garage(Top left) shows a Hormann georgian double fully retractable up over door, in a white powder coating, or a colour of your choice and real brick fronts.Utilising the market leading Metrotile granular steel roof tile, the Apex 20 has a 20 degree roof pitch and gives a choice of six different tile colours to blend with virtually any property. This Apex 20 model is also available as an Apex High, giving extra height to the eaves and extra door clearance,very useful for 4x4's and people carriers.Available in five single widths (8'6", 9'6", 10'6", 12'6" & 14'6") and five double widths (16'6", 18'6", 20'6", 22'6" & 24'6"). Tel; RWH 01384 864858 To discuss these buildings or for brochure/prices.